Monica relates well to her riders and has a special knack of pairing them up with the most suitable horse. Monica has brought many horse/rider combinations to the winners circle, including National Junior Hunter Finals, USHJA Hunter Derby’s, Hits Ocala, Saugerties, Vermont, Capital Challenge, New England Finals, MHC Finals as well as other local finals and numerous year end awards. Monica is a USEF ‘R’ recognized judge. 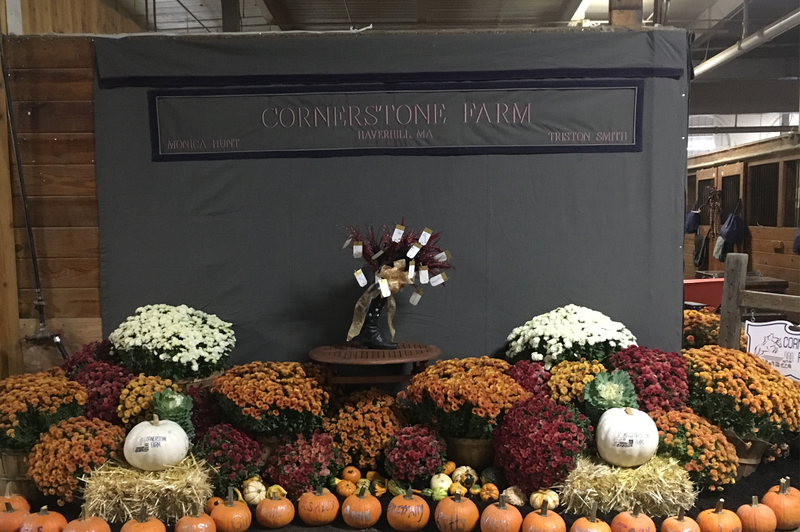 Cornerstone Farm is a family owned show stable in Haverhill, Massachusetts. Pam Hunt started the farm over 28 years ago and is the chairman of the USHJA for Zone 1. She has been a respected USEF recognized judge for 30 years and travels all over the country judging horse shows. Her students and horses have won many classes at most major horse shows on the East Coast including Madison Square Garden and Devon. Pam’s students have won many Zone Championships and been Circuit Champions at HITS Ocala and the Vermont Summer Festival. Andi manages the lesson program at Cornerstone Farm and has a passion for bringing all of her students along with a solid foundation of horsemanship and care for the animals they work with. Andi has experience in working with students of all ages and riding levels. She has a patient yet disciplined teaching style that helps riders gain the confidence and knowledgeable ability to ride at a competitive level. Jennifer has been a licensed instructor in the state of Massachusetts for 27 years. She has a bachelor’s degree in Developmental Psychology and specializes in instructing beginning and returning riders. Jennifer’s instruction focuses on an overall harmonious relationship with horses by teaching the whole horse experience, not just those lessons taught in the saddle. The Massachusetts Horseman’s Council awarded Jennifer “2014 Person of the Year” for her contributions to the development of youth equestrian opportunities in her area. Jennifer joined the staff of the Interscholastic Equestrian Association (IEA) in 2008, assisting professional coaches in creating secondary school equestrian teams and organizing competitions in which youth riders compete on unfamiliar horses. In 2015, Jennifer received the IEA Lifetime Achievement Award, for her contributions to the association. Today, she is the Membership Marketing Coordinator for the IEA and sits on the Executive Board of Directors for the Certified Horsemanship Association (CHA).